Most of people who have been in front of the gigantic rock formations of the Dolomites say that San Candido is surrounded by the most beautiful mountains in the world and it’s worth visiting in every season for sport, culture, rest and stress relaxation. In the centre pulse the life: tarrying, shopping, promenading and enjoy local cuisine in traditional taverns – in the shadow of historical buildings. Beyond the centre you can discover the most beautiful walking trails and cycling tracks, amongst others the most famous from San Candido to Lienz in Austria. In the Dolomites around you can climb many “via ferrata’s” and peaks – breathtaking views included. During winter the most beautiful cross-country trails and many kilometres of ski slopes in perfect conditions are at your disposal. At Mount Baranci the ski slopes bring you until our apartment house and at Mount Elmo the ropeways bring you far over the forest limit. Even if the weather one time is not according your desires there are many alternatives: Indoor waterpark “Acquafun”, diverse museums, indoor tennis courts and climbing walls, the expositions of the natural parks and the alpine dairy. Choose from the numerous proposals and spend easygoing days in San Candido, the borough with more than 1000 years of history. 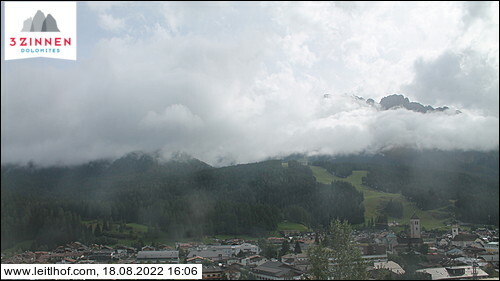 Prepare your suitcases and ... go to San Candido!